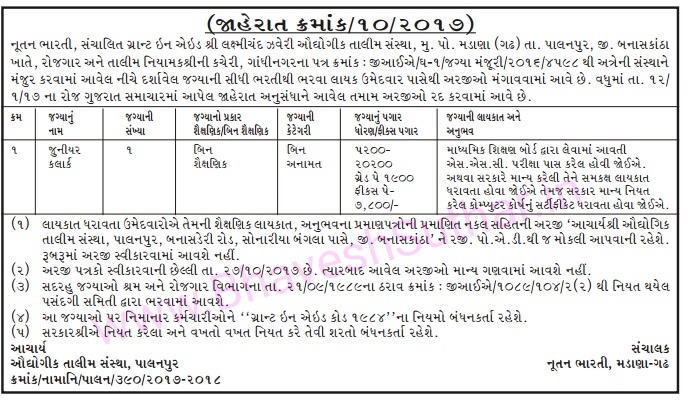 ITI Madana(Palanpur) Recruitment For Junior Clerk Post 2017. ITI Madana(Palanpur) Recruitment For Junior Clerk Post 2017. Other details like age limit, educational qualification, selection process, application fee and how to apply are given below. How to Apply: Interested and Eligible candidates Send Their Document to Given Below Address in ADVT.